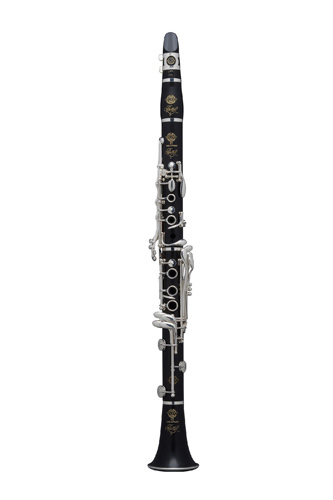 The Selmer Recital clarinet has offered a unique and truly 'Selmer' sound to clarinet players for many years. The Recital features a thicker wooden body (2mm thicker than standard), and has the largest bore in the Selmer range, this gives the Recital a real feeling of power and depth. It does however also add some weight and we advise that serious thought is given to that fact. The Recital is not for everyone but for those wanting a truly dark, solid full tone the Recital takes some beating. However, you need to be prepared to pay for it with quite possibly the heaviest clarinets on the market. .567 bore, thick grenadilla wood body, 18 keys-6 rings, silver-plated keys. The Recital has an optional low F resonance key that provides additional venting for a clearer tone on low F, this is available via special order only.